The tree work has generated many questions. 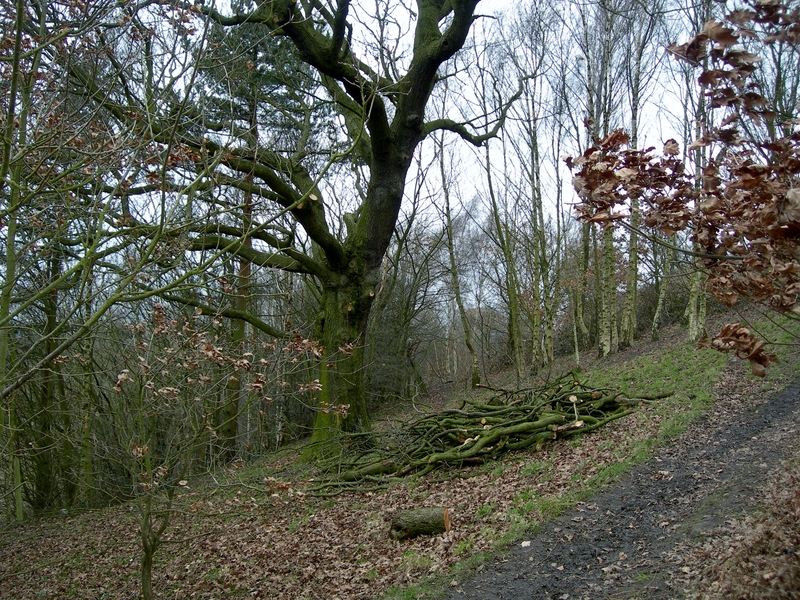 One recent one is ‘why the oak tree canopy has been cut back, as it was lovely to walk under?’ Answer – It is dead wood that has been cut out of the trees. If left these 100 year old oak trees would deteriorate, and there are signs that the neglect of the past 10 years has started that process. By cutting out the dead wood the trees will hopefully put on new growth and last another 100 years. In addition, dead wood, wind and a path do not make for a safe environment in a world where ‘ambulance chasing’ is rife. What is to happen to the logs and branches? 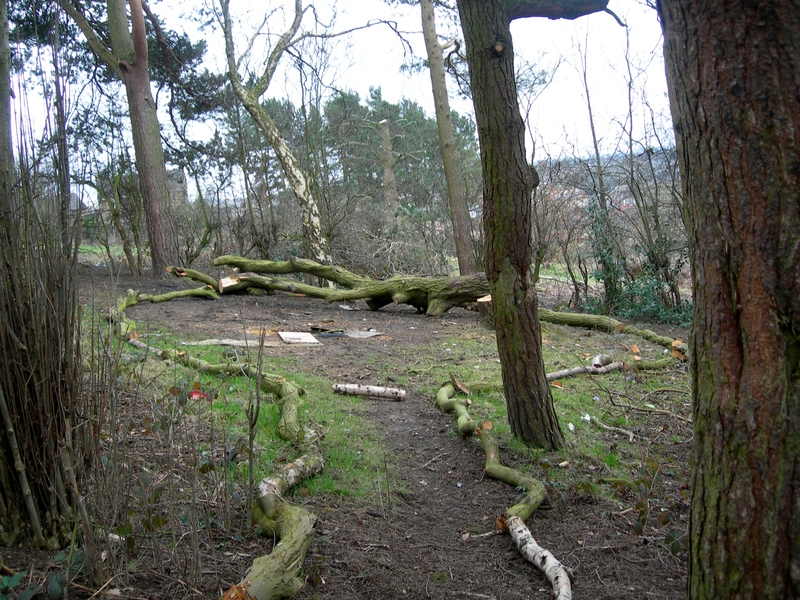 The large tree trunk, and logs will stay in the park as a home for wildlife and insects. We have yet to establish where and how, and, if any Friend wants to take that on as a project, let us know. The branches will be put through the shredder and the resulting woodchip used around the Park. I was interested to see this morning, that the usually messy, rubbish filled, lower copse has had a ‘make over’. Well, it is an improvement !! This entry was posted in Ecology, Regeneration and tagged copse, logs, oaks, trees. Bookmark the permalink.